This is a luxury inflatable planetarium, there are two doors for people to get inside. And the doors are totally sealed and there are two ways for people to get inside. For color, the dome can be both dark blue and black. For the material, we use professional planetarium material so that it is totally black out. It is very good for education and commercial business. 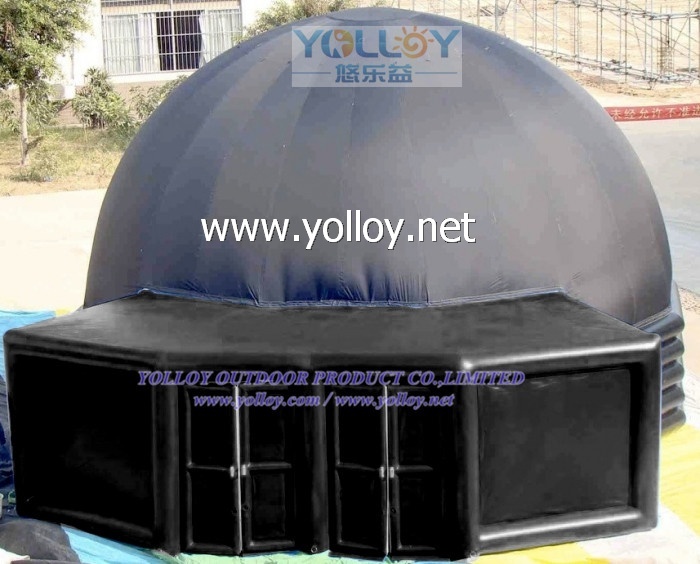 We also have many other inflatable planetarium domes, for more option and details, please feel free to contact us.